Indians bowlers dominated the entire Zimbabwe innings. Sran and Bumrah continued their form of IPL and bowled well to restrict Zimbabwe to 168 runs. Everyone got starts for Zimbabwe but not one converted to big figures, only Chigumbura chipped in with his 41 runs. That's a century for KL Rahul on ODI debut. He's only the 11th debutant to make a century on ODI debut, he's the first Indian. Rayudu has played his part in the century too by giving him enough strike towards the end. The blowers played well and it was an one way traffic. That's a century for KL Rahul on ODI debut. He's only the 11th debutant to make a century on ODI debut, he's the first Indian. Rayudu has played his part in the century too by giving him enough strike towards the end. The blowers played well and it was an one way traffic. Indians bowlers dominated the entire Zimbabwe innings. Sran and Bumrah continued their form of IPL and bowled well to restrict Zimbabwe to 168 runs. Everyone got starts for Zimbabwe but not one converted to big figures, only Chigumbura chipped in with his 41 runs. India have won the toss and elected to bowl against Zimbabwe in the opening one-dayer at Harare sports club. 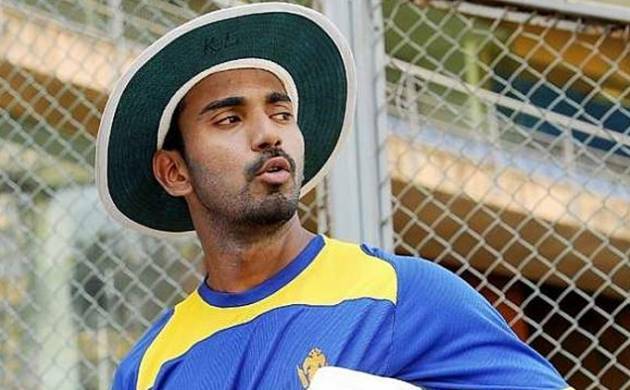 For India, Yuzvendra Chahal, KL Rahul and Karun Nair will be making their ODI debut. India: MS Dhoni(c and wk), Lokesh Rahul, Manish Pandey, Karun Nair, Ambati Rayudu, Kedar Jadhav, Axar Patel, Dhawal Kulkarni, Jasprit Bumrah, Barinder Sran, Yuzvendra Chahal. Zimbabwe: AG Cremer, C Chibhabha, H Masakadza, R Mutumbami, V Sibanda, CR Ervine, Sikandar Raza, PJ Moor, E Chigumbura, T Muzarabani, TL Chatara.